An ecosystem consists of all living organisms in a certain area and their interactions with the environment around them. Ecosystems are either land- or water-based. 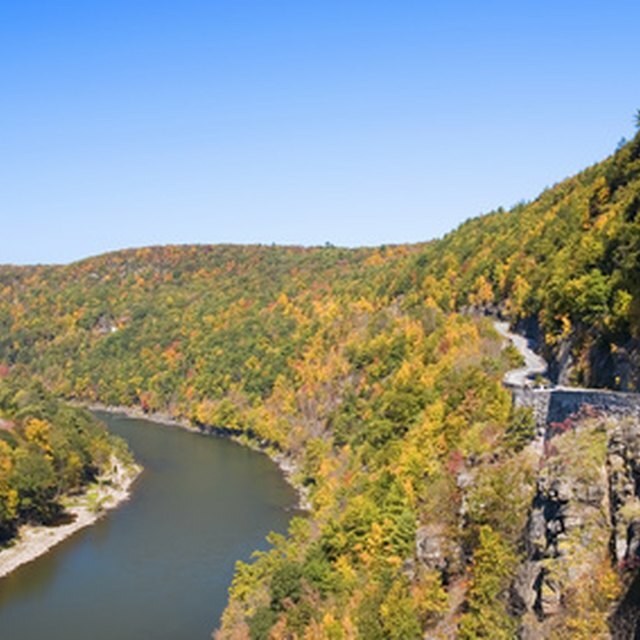 Pennsylvania, a geographically diverse state, is located in the Mid-Atlantic region of the northeastern part of the United States, and contains four common ecosystems: forests, lakes, rivers and wetland. When it comes to Pennsylvania ecosystems, forests dominate. More than 16 million acres of forest cover 58 percent of the state's land, according to Penn State. Forests are complex ecosystems that support a diversity of plant and animal life. Pennsylvania forests provide habitats for most of the state's wildlife. Diverse trees, such as maple, cherry and oak comprise Pennsylvania's forest ecosystems. Forests provide economically important products, such as lumber, ginseng and maple syrup. They also protect the state's watersheds, which contain most of the state's fresh water. Penn State identifies various threats to forest ecosystems, including acid rain and spreading urbanization. Conservation efforts revolve around educating Pennsylvania citizens about the importance of resource management, such as planting trees. Wetland areas, saturated with water, host plants suited to wet environments. In Pennsylvania, wetlands occur on floodplains along rivers and streams, along the edges of lakes and in forest swamps or bogs. They are important breeding and spawning grounds for fish, amphibians and water fowl. These ecosystems also provide a habitat for some of Pennsylvania's threatened or endangered species, such as the American bittern. Federal government agencies, including the U.S. Fish and Wildlife Service, and state agencies, such as the Pennsylvania Department of Environmental Protection, protect the state's wetland ecosystems through legislation. Pennsylvania contains approximately 2,500 bodies of water classified as lakes, according to the Pennsylvania Department of Conservation and Natural Resources. Most lakes are actually large ponds or man-made reservoirs. Freshwater ecosystems contain a diversity of life, such as fish, invertebrates, amphibians and plants. They also provide sources of drinking water for wildlife and people. The Pennsylvania Department of Conservation and Natural Resources identifies underwater plant invasive species as threats to the lakes' native plants. People have also contributed to the declining native plant populations by spraying herbicides into the water to kill the invasive species. Conservation efforts revolve around educating Pennsylvania homeowners about the harm that herbicides does to native plants. Many rivers flow through Pennsylvania, including the Ohio, Susquehanna and Allegheny Rivers. They form a multitude of freshwater ecosystems across the state. According to the Western Pennsylvania Conservancy, rivers are the most endangered ecosystems in North America. Human activities have resulted in the loss of biodiversity in Pennsylvania's river habitats. Damming has slowed the water flow in many rivers, which damages the quality of the water. In addition, coal mining has polluted many waterways. 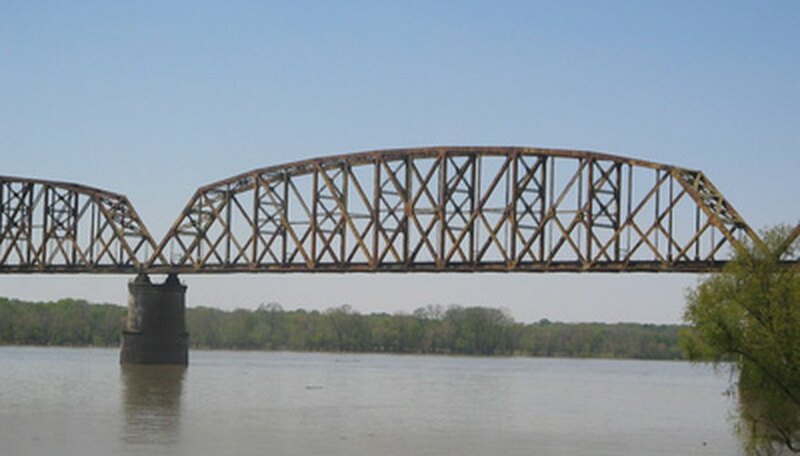 The state's Ohio River Basin remains one of the most diverse freshwater ecosystems, populated by a wealth of fish and mollusk species, according to the Western Pennsylvania Conservancy. Conservation efforts continue to maintain this rich diversity. Sothern, Marci. "Four Ecosystems of Pennsylvania." Sciencing, https://sciencing.com/four-ecosystems-of-pennsylvania-13662842.html. 26 September 2017.